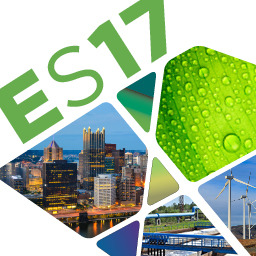 On behalf of the Mascaro Center for Sustainable Innovation at the University of Pittsburgh and the Steinbrenner Institute for Environmental Education and Research at Carnegie Mellon University, we are pleased to welcome you to Pittsburgh and Engineering Sustainability 2017: Innovation and the Triple Bottom Line. Our conference is designed to showcase cutting-edge science and engineerring that focuses on greening the built environment, the sustainabile use of water and energy and studentable transportation. Progress in these areas will require innovations from professionals in a variety of disciplines, and we are greateful to have scientific contributions from researches in fields randing from engineering to architecture to urban planning to the sciences. 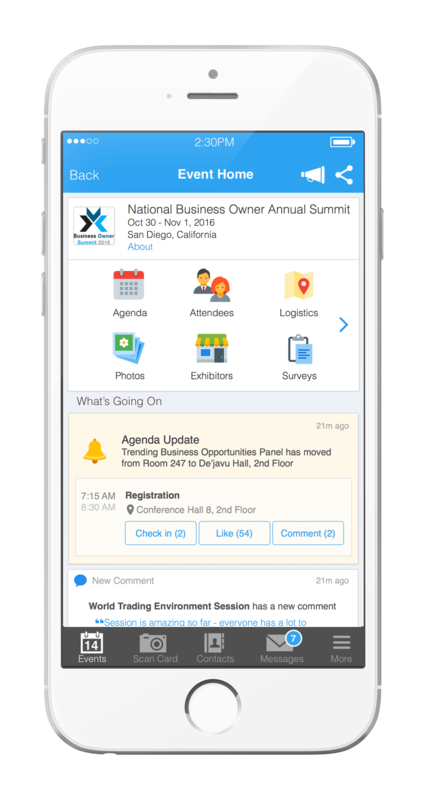 We have arranged the program as a series of topical sessions, allowing attendees to focus their attention on a specific area or sample from a variety of topics. Each day will also included plenary and invited speakers who will integrate, synthesize and help us all look ahead. Bio: Dr. Landis joined Clemson in July 2015 as the Thomas F. Hash ’69 endowed chair in sustainable development. She serves as Director for Clemson’s Institute for Sustainability, which brings together interdisciplinary research, education, and business for sustainability. Prior, she was an Associate Professor at ASU’s School of Sustainable Engineering in the Built Environment from 2012 to 2015. 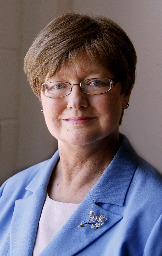 During her tenure at ASU she served as Director of Research for the Center for Earth Systems Engineering and Management, Senior Sustainability Scientist for the Global Institute of Sustainability, Lincoln Fellow of Sustainable Development and Ethics for the Lincoln Center for Applied Ethics, and Tooker Professor of STEM Education for the Ira A. Fulton Schools of Engineering. Dr. Landis began her career as an Assistant Professor at the University of Pittsburgh after having obtained her PhD in 2007 from the University of Illinois at Chicago under the supervision of Dr. Thomas L. Theis. Amy has developed a research program in sustainable engineering of bioproducts. Her research ranges from design of systems based on industrial ecology and byproduct synergies, life cycle and sustainability assessments of biopolymers and biofuels, and design and analysis of sustainable solutions for healthcare. Since 2007, she has led eight federal research projects and collaborated on many more, totaling over $9M in research, with over $15M in collaborative research. At Clemson, Dr. Landis continues to grow her research activities and collaborations to include multidisciplinary approaches to sustainable systems. Dr. Landis is dedicated to sustainability engineering education and outreach; she works with local high schools, after school programs, local nonprofit organizations, extensions, and museums to integrate sustainability and engineering into K-12 and undergraduate curricula. Bio: Amy Pruden is a Professor of Civil & Environmental Engineering at Virginia Tech in Blacksburg, VA USA. Her primary expertise is on tracking pathogens and antibiotic resistance genes through environmental systems and developing engineering control strategies for protecting public health. Her broad research mission is to advance the sustainability and health of our water systems through fundamental understanding of microbial ecology. Dr. Pruden received the Presidential Early Career Award in Science and Engineering in 2007 and the Paul L. Busch Award in 2014. Her 2014 article “Balancing Water Sustainability and Public Health Goals in the Face of Growing Concerns about Antibiotic Resistance,” was recognized as the Editor’s Choice Best Feature Article in Environmental Science and Technology. Dr. Pruden's research has been funded by the National Science Foundation, Water Research Foundation, Water Environment Research Foundation, Department of Energy, the U.S. Environmental Protection Agency, and The Alfred P. Sloan Foundation. Dr. Pruden will speak about her role in assisting with the response to the Flint Water Crisis and provide perspective on the role of academics in addressing our failing water infrastructure, particularly for vulnerable and disadvantaged communities. 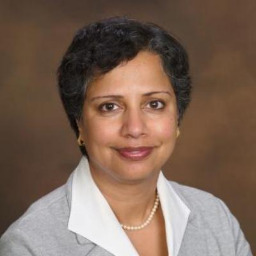 Bio: Ramaswami is among the leading scholars on sustainable urban infrastructure and has seen her work adopted as policies and protocols for developing sustainable cities in the United States and internationally. 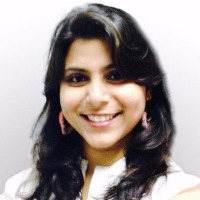 Ramaswami’s research spans environmental modeling, environmental technologies, industrial ecology, sustainable infrastructure design, urban systems analysis, and integration of science and technology with policy and planning for real-world implementation in communities. She has developed novel interdisciplinary education programs and resources in these diverse areas. She is the lead author of a graduate-level textbook on integrated environmental modeling. Ramaswami received her B.S. in chemical engineering from the Indian Institute of Technology–Madras, India, and her M.S. and PhD in civil and environmental engineering from Carnegie Mellon University in Pittsburgh. She serves as chair of the newly founded Sustainable Urban Systems section at the International Society of Industrial Ecology, and represents the United States in various international urban sustainability networks. 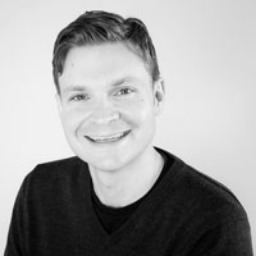 Bio: Brent Stephens is an Associate Professor in the Department of Civil, Architectural, and Environmental Engineering at Illinois Institute of Technology (IIT) in Chicago, IL. He also directs the Built Environment Research Group at IIT where he and his students investigate interactions between energy efficiency, indoor air quality, and environmental exposures within the built environment. Dr. Stephens also serves as Secretary of the International Society for Indoor Air Quality and Climate (ISIAQ), Chair of the ISIAQ Scientific and Technical Committee (STC) 21 on Ventilation, and Member and Research Subcommittee Chair of ASHRAE Technical Committee 2.4 on Particulate Air Contaminants and Particulate Contaminant Removal Equipment. Dr. Stephens has published over 35 peer-reviewed journal articles, editorials, and commentaries and his research has been funded by the U.S. Environmental Protection Agency (EPA), the Alfred P. Sloan Foundation (APSF), the American Society of Heating, Refrigerating, and Air-Conditioning Engineers (ASHRAE), the Centers for Disease Control (CDC) through the National Institute for Occupational Safety and Health (NIOSH), the Air-Conditioning, Heating and Refrigeration Institute (AHRI), and the National Air Filtration Association (NAFA) Foundation. 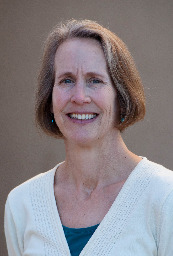 Bio: Dr. Peters is a Professor in the Department of Civil and Environmental Engineering at Princeton University, and she is the Director of the Geological Engineering Program. She is an environmental chemist with expertise in geochemistry and reactive transport. Her work focuses on the environmental challenges of subsurface energy technologies such as geologic sequestration of carbon dioxide, geothermal energy production, and hydrofracking for shale gas extraction. Her group applies a range of approaches to addressing these challenges, including high-pressure flow cells for experimental investigation, imaging via X-ray spectroscopy and electron microscopy, and mathematical modeling for reactive transport simulations. Her research has been funded by agencies including the National Science Foundation, the Department of Energy, and the Environmental Protection Agency. Dr. Peters is the Deputy Editor of Environmental Engineering Science, and is on the Advisory Board for Greenhouse Gases: Science and Technology. She is a Fellow of the Association of Environmental Engineering and Science Professors, and was President of AEESP in 2002. She holds a PhD (1992) from Carnegie Mellon University in the departments of Civil Engineering and Engineering & Public Policy. Bio: John Little is the Charles Edward Via, Jr. Professor of Civil and Environmental Engineering at Virginia Tech. He received a BS in Chemical Engineering from the University of Cape Town and an MS and PhD in Environmental Engineering from the University of California, Berkeley. His primary research interests are cross-media mass transfer and process dynamics in a wide array of environmental systems, with emerging interests in sustainability and resilience from a systems perspective. Dr. Little received a National Science Foundation (NSF) Career Award in 1996, was elected to the International Society of Indoor Air Quality and Climate (ISIAQ) Academy of Fellows in 2008, and received the Association of Environmental Engineering and Science Professors (AEESP)/CH2M Hill Outstanding Doctoral Dissertation Award in 2011, the AEESP Distinguished Service Award in 2013, and the North American Lake Management Society Technical Merit Research Award in 2014. Dr. Little served as Chair of the ISIAQ Scientific and Technical Committee: Sources, Monitoring and Evaluation: Chemicals. He also served as Director of a $3M NSF Integrative Graduate Education and Research Traineeship (IGERT) Program called EIGER – Exploring Interfaces through Graduate Education and Research, and has been a visiting professor in Australia, China, Spain, Switzerland, and Taiwan. 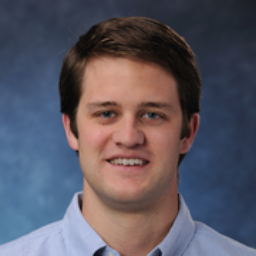 Bio: Dr. Kyle Bibby is an Assistant Professor in the Department of Civil and Environmental Engineering at the University of Pittsburgh. He completed his BS in Civil Engineering from the University of Notre Dame and PhD in Environmental Engineering from Yale University. He is currently leads multiple research projects investigating microbial water quality and microbial communities in the built and natural environment. 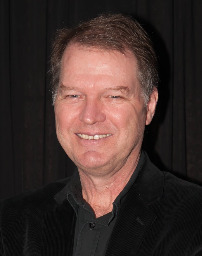 Dr. Bibby is a registered Professional Engineer in Illinois. 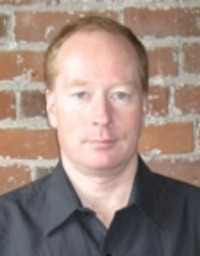 Bio: Mr. Walsh has over 20 years of experience designing, developing and utilizing computer based learning and communications tools to engage citizens and stakeholders in the process of creating sustainable, livable cities and regions. As one of the company’s founders and the chief architect of MetroQuest, Mr. Walsh has been instrumental in evolving the MetroQuest technology from an early prototype into a web-delivered, software as a service, stakeholder engagement platform. 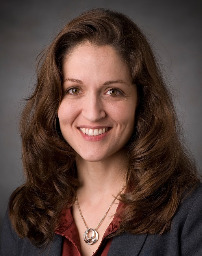 Bio: Rachel Brennan, Ph.D., P.E., is an Associate Professor of Environmental Engineering at Penn State University and a Senior Consultant with Golder Associates. She earned a B.S. in Geological Engineering with Honors from New Mexico State University, and an M.S. and Ph.D. in Environmental Engineering from the University of Illinois at Urbana-Champaign with the support of both NSF and EPA graduate fellowships. Dr. Brennan’s expertise is the development and application of enhanced bioremediation technologies for treating contaminated soil, groundwater, surface water, and wastewater. In 2007, she was awarded a Faculty Early Career Development (CAREER) Award from NSF for her research on the simultaneous biological, chemical, and physical treatment of acid mine drainage using multifunctional substrates. Her current research efforts focus on the biocatalysis of emerging contaminants, ecological wastewater treatment, and the beneficial reuse of aquatic plant biomass for sustainable fertilizer, feedstock, and biofuel production. In addition to an active research program, Dr. Brennan has been recognized with numerous awards for teaching excellence, including the Penn State Engineering Alumni Society’s Outstanding and Premier teaching awards. She serves as the Director of Penn State’s Advanced Ecological Engineering Systems Lab (or Eco-MachineTM) and is the Faculty Advisor to the Penn State chapter of Engineers Without Borders. Bio: Zhen (Sean) Qian joined the Department of Civil and Environmental Engineering in July 2015. He directs the Mobility Data Analytics Center (MAC) at CMU. 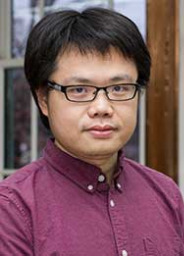 Qian was most recently an assistant research professor jointly appointed at the Heinz College and Institute for Complex Engineered Systems. Qian's research lies in the integration and optimization of civil infrastructure systems. The primary focus of his research is to manage aging and overcrowded transportation infrastructure systems, and to build sustainable and resilient infrastructure networks. He is particularly interested in large-scale dynamic network modeling for multi-modal transportation systems, in development of intelligent transportation systems (ITS) and in urban system interdependency modeling. He was a postdoctoral researcher in the Department of Civil and Environmental Engineering at Stanford University from 2011 to 2013, and received his PhD degree in Civil Engineering at the University of California, Davis. Bio: Dr. Callie Babbitt is an Associate Professor in the Golisano Institute for Sustainability at Rochester Institute of Technology, where she conducts research to proactively quantify and minimize environmental impacts of emerging technologies. Callie’s research group creates new methods and models in the field of industrial ecology that are inspired by fundamental concepts in ecological systems. They apply these models to study sustainability challenges and solutions for consumer electronics, lithium-ion batteries, electric vehicles, and nanomaterials. Callie also collaborates widely on life cycle assessment studies related to the food-energy-water nexus, critical minerals, biofuels, waste management systems, and renewable energy technologies. She translates this research into courses at RIT in Sustainability, Architecture, and Industrial Design and into informal education programs at the K-12 level. Her collaboration with Rochester-area schools and Women in Engineering at RIT aims to increase the number of female students who pursue science, engineering, and sustainability degrees and careers. These efforts have been recognized by national and international academic and research communities. In 2013, Callie was awarded the Faculty Early Career Development (CAREER) Program Award by the National Science Foundation, and in 2010, she received the AT&T Technology and Environment Award for her research and teaching efforts in sustainability.